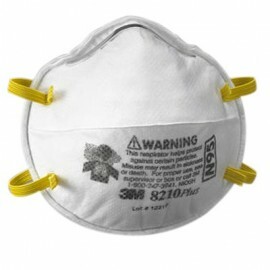 Dust Masks, What's in a Rating | N95, P95, N100 etc. 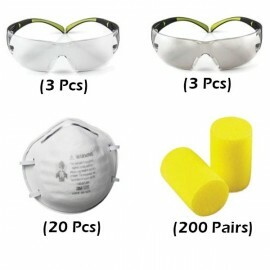 Respiratory Filters come in a variety of ratings that relate to how the respirator performs (how much it filters) and what environment type it is designed to be used in. When choosing a respirator it's important to understand that as the letter rating and number rating increase, breathing fatigue will increase. While you certainly don't want to choose a rating that is too low, you don't necessarily always want to pick a P100 filter for every application - particularly if you're just looking for a simple dust mask to do home improvement work. 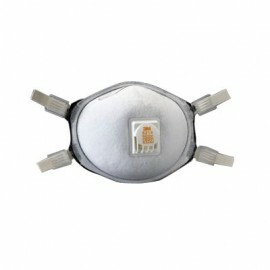 Typically, an end user will find an N95 respirator cooler, and easier to breath through than a P99 or P95 dust mask. 100 - Removes 99.97% of all particles that are 0.3 microns in diameter or larger. HE or HEPA quality filter. Quite simply, a respirator with a rating of P100, has been tested to be proof against oil, and tested to filter 99.97% of all particles 0.3 microns in diameter or larger. To the right you can see various examples of the size (in microns) of various substances for comparison. Most commonly used for Flu or Influenza prevention, these masks are effective according to the CDC in helping to prevent the spread of Flu, swine flu and avian flu transmission from person to person. 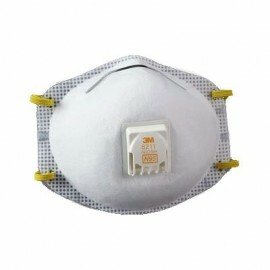 N95 masks are designed to fit over the nose and mouth of the wearer, and properly fitted can provide excellent protection. 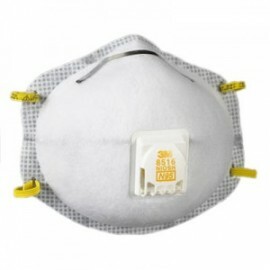 Our most popular N95 mask is the 3M 8210 Dust Mask. Most commonly used for working in environments exposed to oil-based particles, P95 respirators are approved by NIOSH for 95% filtration efficiency against oil-based and non-pil-based particulates. I deally suited in the petrochemical and pharmaceutical sectors. 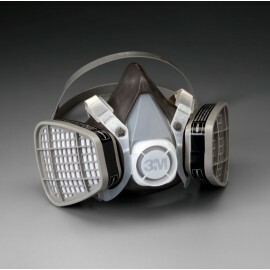 Our most popular P95 mask is the 3M 8271 Dust Mask. 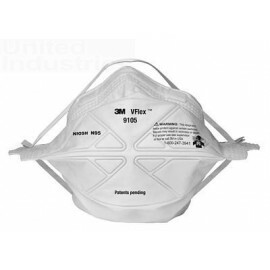 Used in conjunction with full face respirators or half face respirators, filters and cartridges are used where a more secure fit is desired for the user. 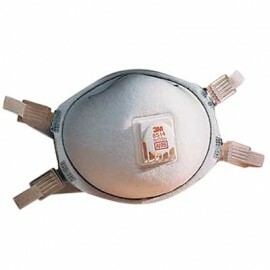 The filters are sold in pairs typically, and are attached to the masks and discarded when they are worn out. You can explore our full selection of filters & cartridges here. 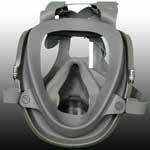 Full masks are typically used in environments where contaminates will irritate mucus membranes and a users eyes. 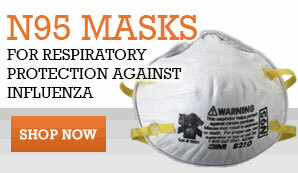 Are N95 Masks Really Effective against the flu? 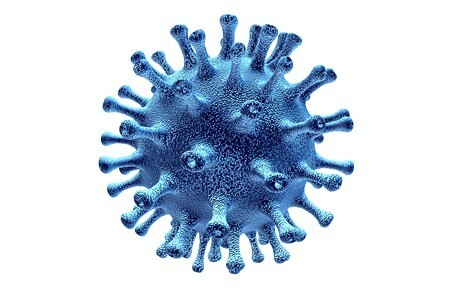 A little online research will reveal that the flu virus is .17 microns in size. Clearly smaller than even N100 masks can filter out. However, it is critical to understand that the flu virus does not float in the air by itself. The flu virus is transported from patient to patient on droplets of excretions from sneezing and coughing. These particles are typically 5 microns or larger. 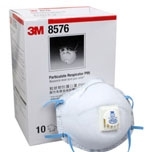 When a sick patient wears a respirator, the respirator can be very effective at preventing infectious material from leaving the patients body, and when worn by healthy individuals, it prevents inhalation of said material. More importantly, wearing a mask is a excellent way of preventing the user from rubbing or touching their mouth or nose, which is a very high risk factor. 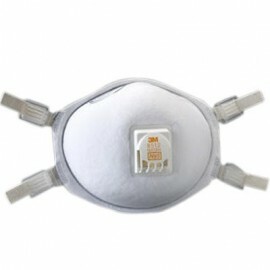 At the end of the day will an N95 mask guarantee to protect you from the Flu? No. But it can substantially reduce your risk or receiving or transmitting the disease. When do Dust Masks/Filters wear out? 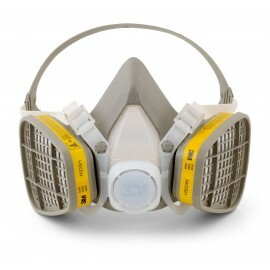 In general, dust masks and filters should be discarded after each "encounter" or "procedure". The risk of contamination can also be heightened by removing and applying the mask multiple times. In general, once removed, the Dust Mask should be disposed of. Additionally, proper hand hygiene should be observed when touching a potentially contaminated mask. Further concern should be given to cross-contamination when wearing masks into different rooms or areas. 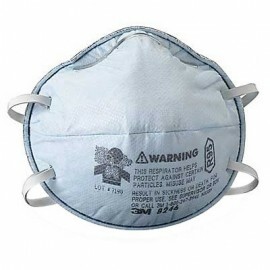 Regardless of usage, masks should be discarded when used beyond 8 hours, and careful review and testing should be performed in regards to hazardous chemicals/particles.